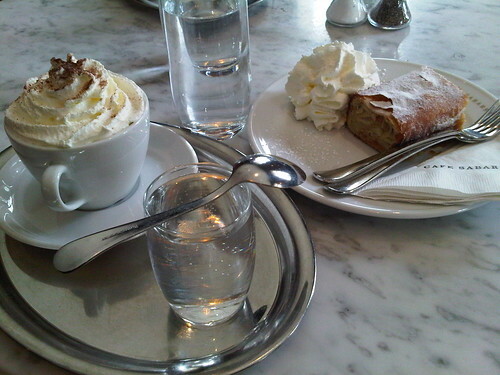 Per Colonel Landa, one must wait for the cream. When someone mentions Wolfgang Puck, I usually think of his casual airport chain, which, admittedly I am usually not in much of a hurry for. His flagship Spago Beverly Hills, on the other hand, is a pretty serious restaurant in Los Angeles with two Michelin stars (hm..) and a loyal following. 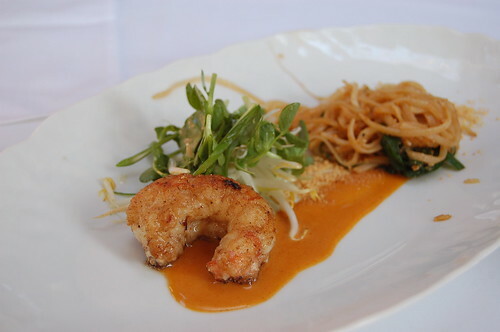 So, when I was in LA, I was curious to check out Spago and form my own opinion. 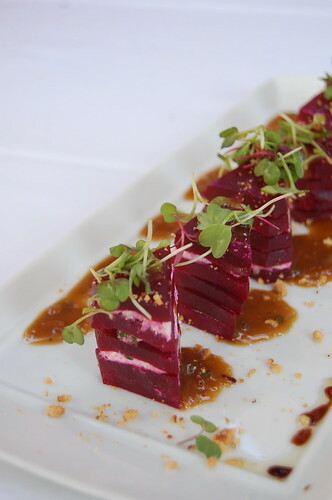 We enjoyed a leisurely lunch on the patio on a sunny (per usual) LA day. 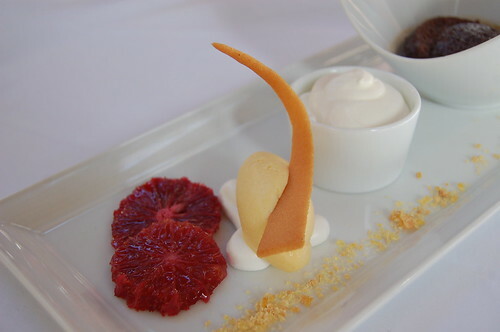 We ordered the tasting menu and added two items a la carte. 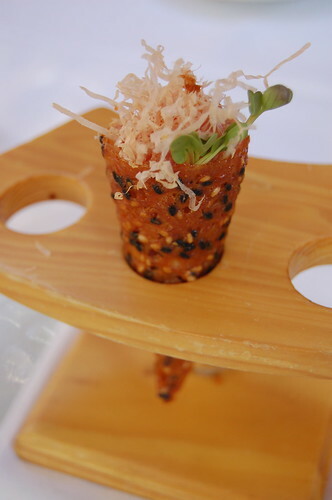 Tuna tartare in a sesame tuile with bonito flakes. 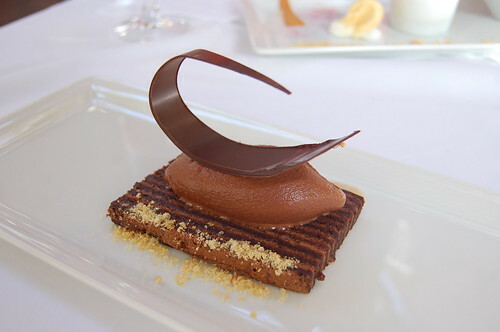 The tuile was cloyingly sweet; the whole thing eaten together was a bit of a strange combination. 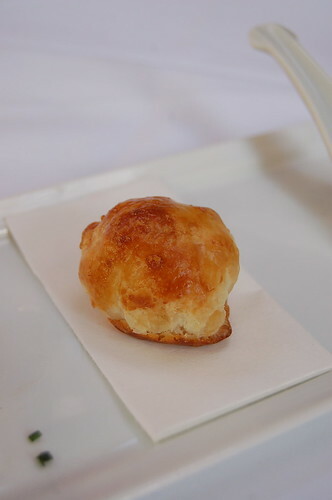 Bacon confit gougère. Pretty tasty and addictive. 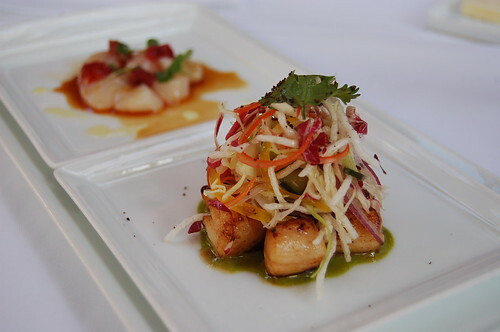 Sautéed Nantucket bay scallops, pickled ginger vinaigrette, Asian cabbage. Fresh scallops in both preparations; nothing too groundbreaking but good. 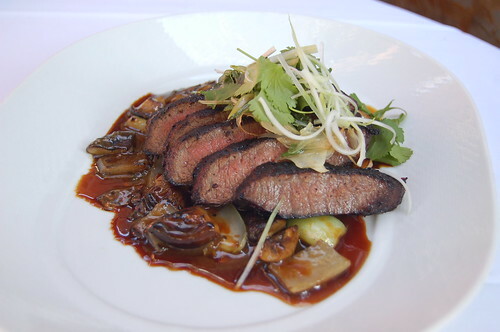 Marinated Kobe “Szechuan” steak - stir fried bok choy, choy sum and shiitake mushrooms. Pretty flavorful and tender steak, and the far east accoutrements surprisingly did not distract. 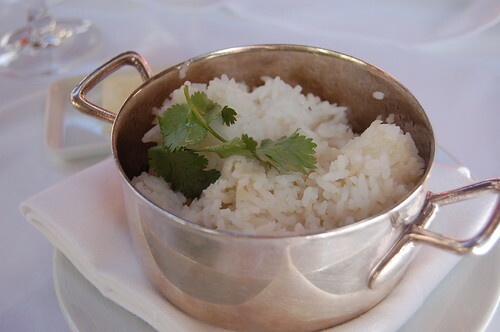 However, this frivolous side of rice did. 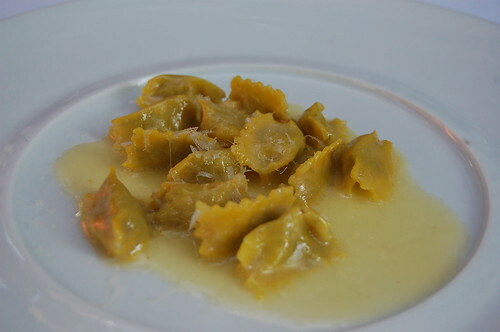 Hand-made agnolotti with foie gras and pork. Probably my favorite course; well done house made pasta with a surprisingly light and delicate filling. 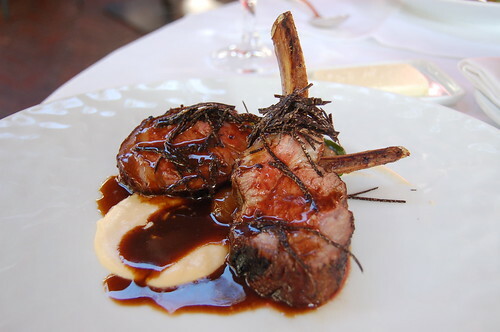 Grilled lamb chops with cauliflower puree and wine-black truffle reduction and shavings. The lamb was quite good, but the sauce overpowered all other ingredients. 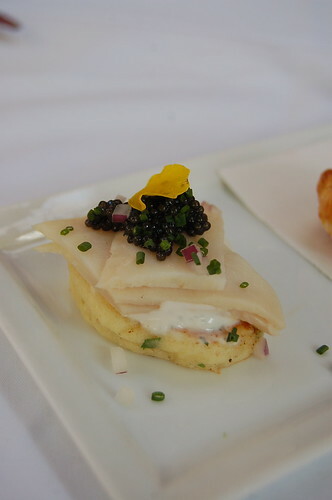 The food at Spago is pretty fresh and tasty. Nothing was that standout but I'd return for good standard California cuisine fare. Not a 2 star establishment in my opinion, but the whole US system is puzzling to say the least. New York has a good number of great sushi restaurants, and Soto occupies an attractive niche: excellent uni and its frequent usage in inventive small plates. Some flavor themes are consistent throughout the menu - shroomy broths, miso, truffle salt, an abundance of ponzu - but done thoughtfully and with high quality fish. 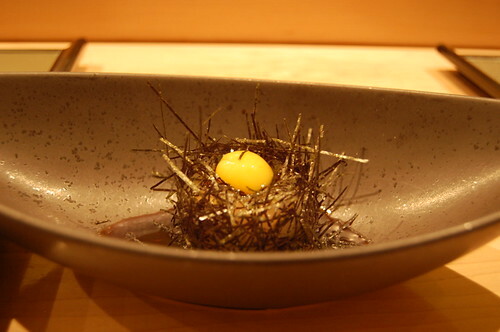 Uni and yuba - black soy bean milk skin with uni, served with shiitake broth. 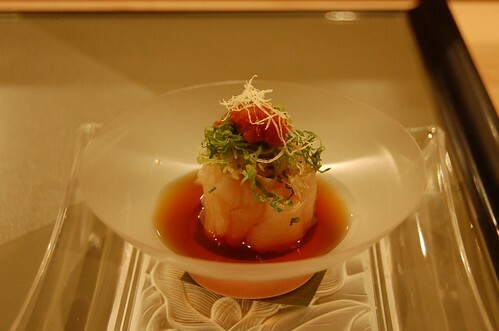 Thin, delicate sheets of soy skin rolled tightly and topped with the freshest uni. 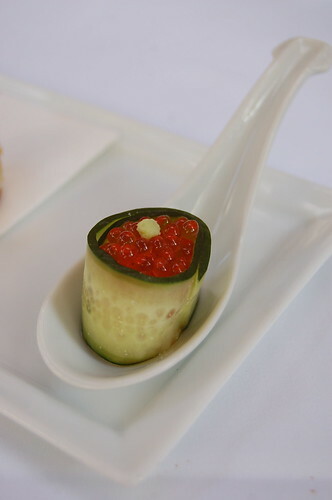 It turned out that the rest of our uni dishes would be standout too. 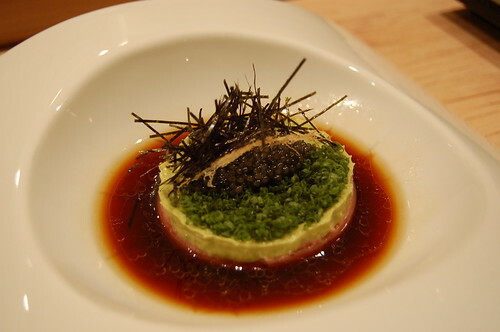 Cyu toro tartare - chopped fatty part of big eye tuna with avocado coulis, garnished with caviar, chive, served in sesame ponzu sauce. 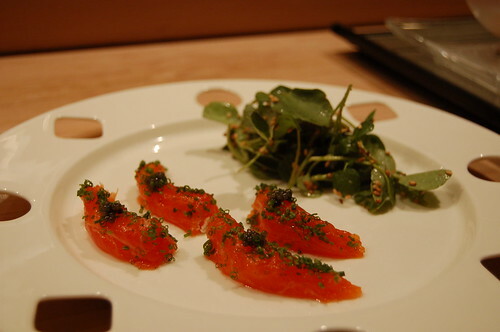 The finely minced toro was very high quality, but overpowered by the avocado. 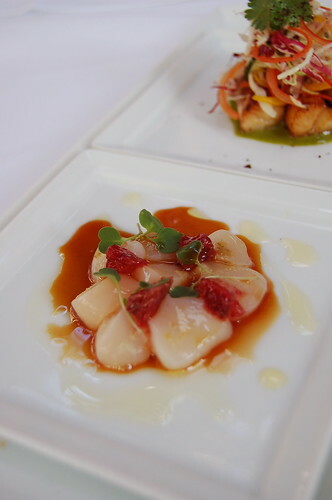 The fish at Soto is very high quality and the small plates are done with great attention to detail. 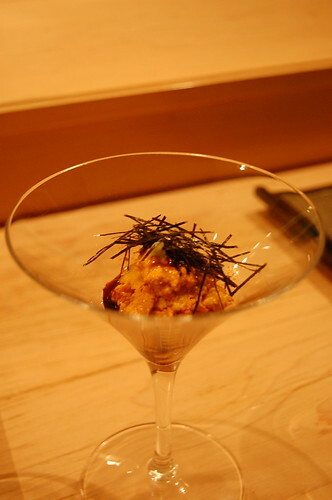 You also can't go wrong with anything that has uni. It really is a wonder though, why the place isn't packed with more people.